In 1938, President Getúlio Vargas created the National Petroleum Council (O Conselho Nacional do Petróleo – CNP) in order to increase state control of Brazilian oil reserves using the slogan O petróleo é nosso (“The petroleum is ours”). In 1953, he advanced this end by signing Law 2,004 creating Petrobras, a state-owned enterprise overseen by the CNP, which granted Petrobras a legal monopoly in hydrocarbon exploration and production. As a result of the dramatic market liberalization at the end of the 1990s, Petrobras cut its workforce by just under a third and doubled its production. By creating the CNPE and the ANP, the natural gas production became a key focus. In addition, the Brazilian government was keen to secure higher investments for power generation. Monopoly control was retained in the major energy complexes and the government continued to administer the price of key energy products. As a result, more than 50 multinational oil companies began operating in Brazil. By 2006, Brazil had produced 11.2 billion barrels of oil (1.78×109 m3), being the second-largest oil reserves in South America after Venezuela. Since November 2007, Petrobras announced that the offshore ‘Tupi’ oil field in the Santos basin may hold between 5-8 billion barrels of recoverable light oil and neighboring fields may contain even more. In 2008, Brazil announced the discovery of the ‘Jupiter’ oil field, a massive natural gas and condensate field just 23 miles from the ‘Tupi’ field. In 2010, the ‘Tupi field was renamed ‘Lula’. Block BM-S-11, which contains the ‘Lula’ and ‘Jupiter’ fields, is operated by Petrobras with a 65% controlling stake while the UK BG Group holds 25% and the Portuguese Galp Energia has the remaining 10% interest. In addition, Petrobras has concessions in over 25 countries, including Turkey, India, Nigeria and Angola. The Brazilian government and petroleum regulators were reeling after the large pre-salt discoveries of 2006. After months of controversial negotiations, on August 31, 2009, President Luiz Inácio ‘Lula’ da Silva sent four draft bills to Congress proposing a radical overhaul of the existing regulatory and operational structure of the petroleum industry. The reforms would guarantee a percentage of the new petroleum money to be used for social and education programs and the Brazilian government to retain a majority share to create a semi-public industry. 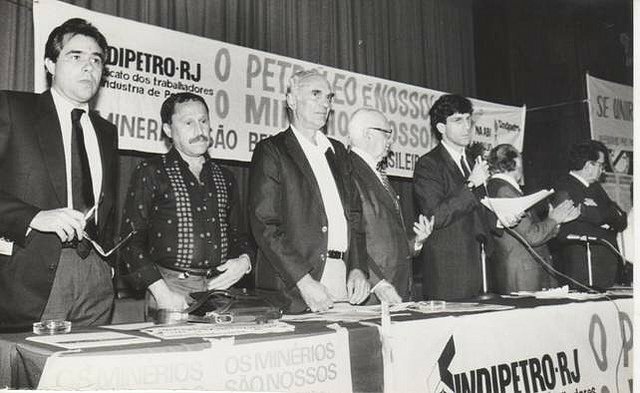 Then, Lula announced in a famous speech in 2008 the declaration that “The Petroleum is ours, it belongs to the people, not Petrobras or Shell” mirroring the former decree from the Vargas administration that the “Petroleum is ours” 69 years earlier. Brazil has been a net exporter of oil since 2011 and still imports some light oil from the Middle East because several of the refineries are not equipped to process heavy crude oil. As a result, massive networks of crude oil pipelines have been set up by Transpetro, fully owned by Petrobras, to move oil to coastal terminals and inland storage facilities. Talks have been underway to build a refinery with Venezuela and/or possibly in Africa. This would require shipping crude oil over long distances, through pipelines and overseas, to refineries abroad.